Wood Flooring Underlays - Blamphayne Sawmills Ltd.
3mm Polyethylene Foam Underlay with integral polythene moisture barrier and double overlapping joint. Parador 2-in-1 underlay that provides a moisture barrier and transmission noise insulation. 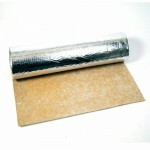 Heavy duty underlay with integrated fleece and aluminium vapour barrier. Excellent sound and moisture protection. 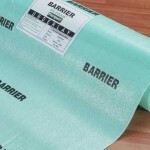 Creates a moisture resistant seal when joining underlay. 5mm self adhesive underlay. Suitable for floating any timber floor including solids. Guaranteed over under-floor heating. Excellent impact sound, walking noise reduction and thermal insulation properties. Quick and easy to install. Absorbs unevenness in the sub-floor. One or two strikes is all it takes for preferred seating every time making it fast, easy and accurate to install a wood floor.